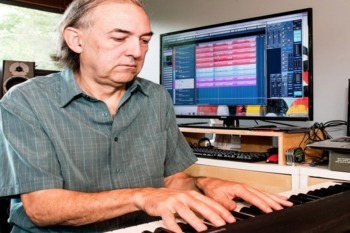 One of the planet’s premier keyboardists, composer, producer, and recording engineer has lived with macular degeneration since he was a young boy; but, blindness doesn't deter Rave Tesar! In fact, Rave started performing professionally by the age of 15 and was working full-time by 18. Tesar will be teaching a free master class on the keyboard with fellow musician Jason Miles on Sept. 30. “I’ve had a very rare condition called adolescent macular degeneration since I was 10,” says Tesar. The programs offered at SDCB can drastically improve the lives of people living with vision loss; please reach out to our team to learn more. Respect. Thank you for sharing the post.